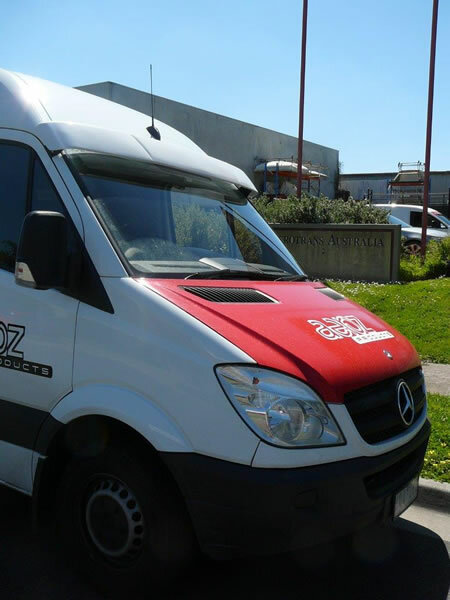 Aeroz-Products has a limited range of high quality fully moulded Sunvisors for Vans. 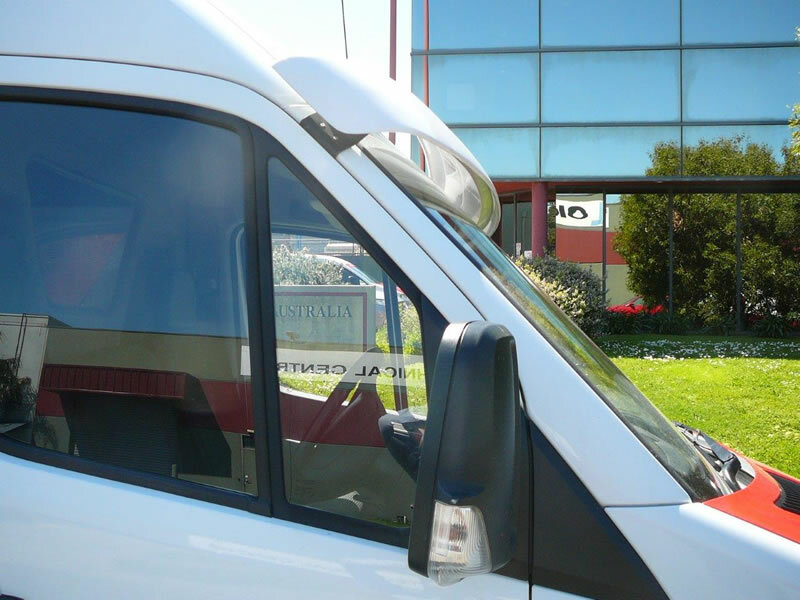 Each fully moulded van Sunvisor is manufactured in Australia using the highest quality raw materials, and all are supplied in a gloss colour matched gelcoat in-mould coating. 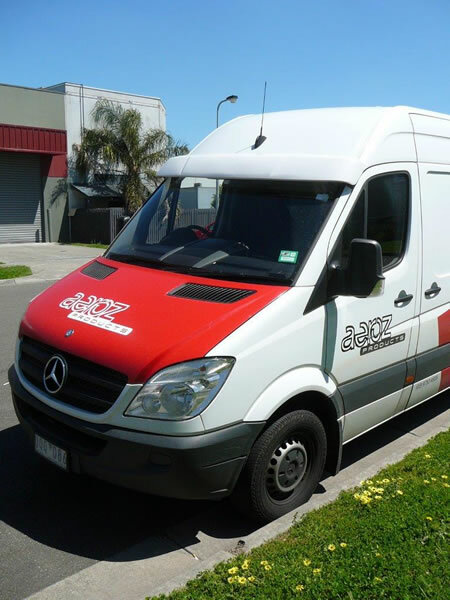 Alternatively, it can supply by special order in a sandable grey for painting to a specific colour. 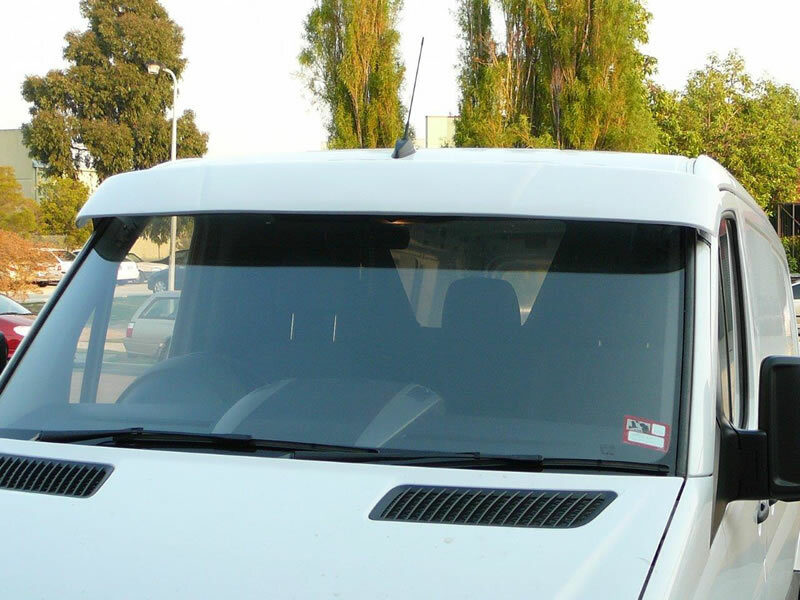 The Aeroz-Products Sunvisors are not ‘peaks’ sticking out to catch the airflow. All models to improve aerodynamics are designed with a gap between visor and windscreen to allow the airflow. Powder coated metal brackets are used on some models for side support only; and unlike similar designs supplied in Acrylic, due to a clever composition of two mouldings bonded together the fibreglass ‘blade is self supported, with no heavy metal bars. Fully moulded in colour matched fibreglass gelcoat. 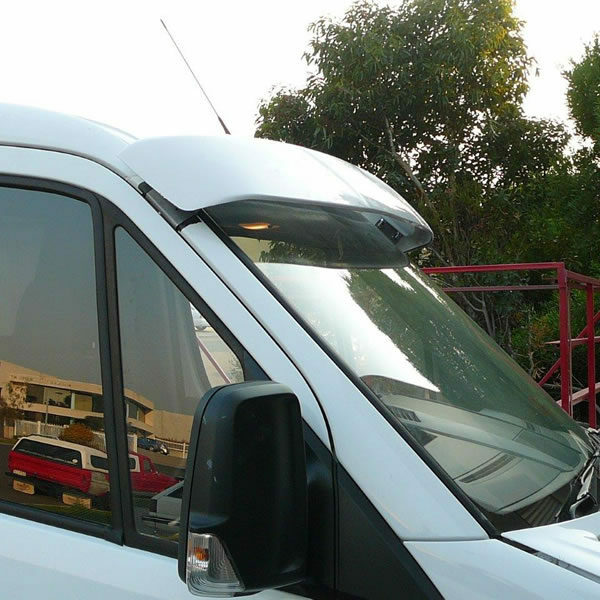 Designed to allow airflow between visor and windscreen and improved aerodynamics. Powder coated metal brackets for side support only; fibreglass design is self supported.